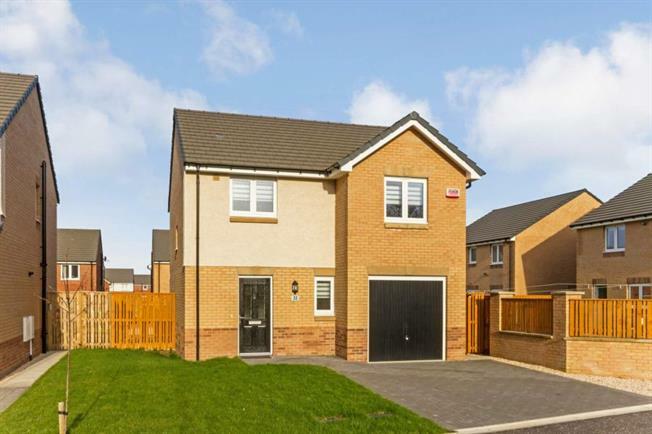 3 Bedroom Detached House For Sale in Glasgow for Offers Over £235,000. A truly stunning and immaculately presented detached villa situated in a much sought after, convenient and child friendly residential location. The property on offer is found in true turn key condition and offers many modern contemporary features with well laid out accommodation over two levels. The accommodation in full comprises entrance hallway, beautifully presented lounge, most impressive contemporary modern kitchen and cloaks/ wc. On the upper level of the property there are three bright and spacious double sized bedrooms ( master en-suite) and stylish modern bathroom. The property is further complemented by double glazing, gas central heating and truly stunning front and rear garden grounds with driveway leading to garage. Oldbar Crescent is ideally placed for a range local amenities and offers nearby high street shopping at both Braehead and Silverburn shopping complexes. Also close to hand are excellent public transport and motorway links for easy access to Glasgow City Centre and destinations further afield. Viewing is highly recommended to appreciate the quality of accommodation on offer and to avoid disappointment.